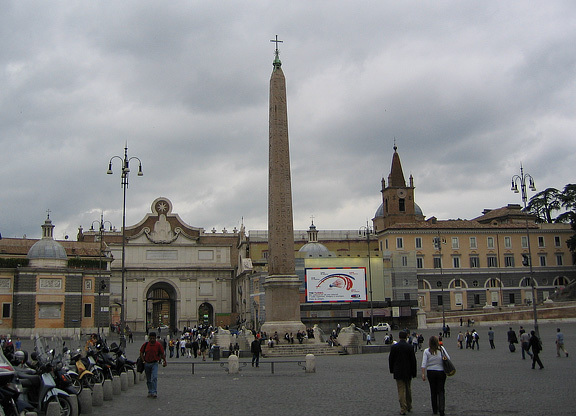 A view of the Piazza del Popolo in Rome, with the Augustan obelisk in the center. 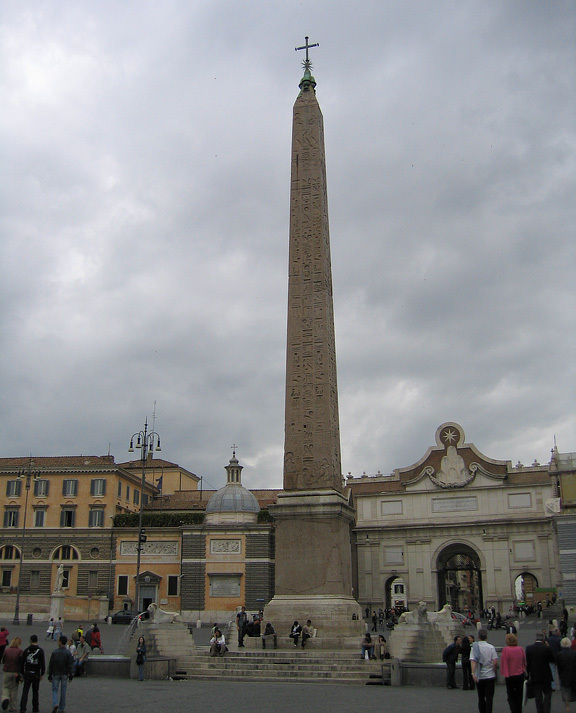 The obelisk in the piazza, once dedicated to an Egyptian pharaoh, but “repurposed” by Augustus to glorify himself. 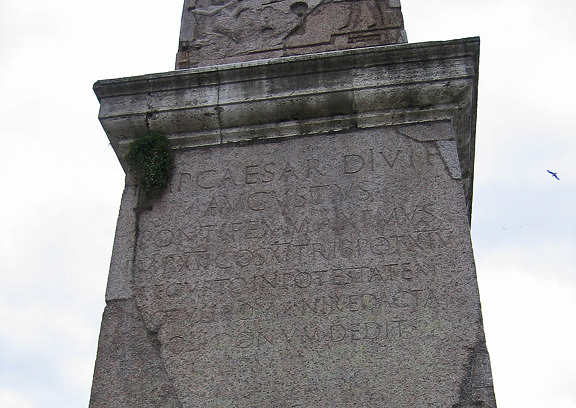 This was once in the Circus Maximus in Rome, but was moved to its current location in the sixteenth century.